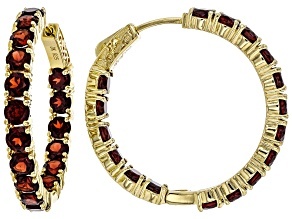 For style that speaks louder than words, enjoy glamorous garnet jewelry from JTV! 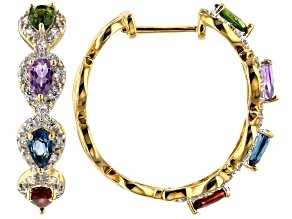 These rings, earrings, and necklaces are available in a variety of vivid, lustrous colors. 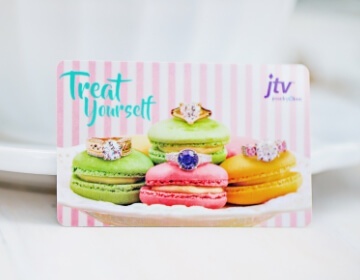 Let your style do the talking for you with garnet jewelry from JTV! Garnets are not just a family. They are more like a clan. 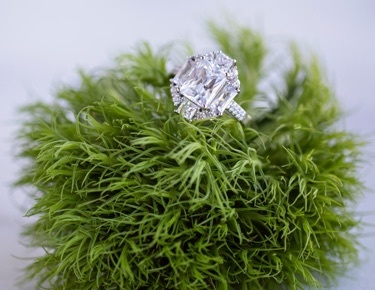 They have much in common the same crystal form (cubic) and the same chemical outline. 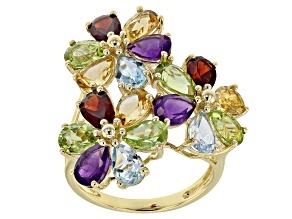 I say outline, because in many ways, chemistry varies between the different types of garnets. So while we call them a family, their DNA varies enough to call them a clan. 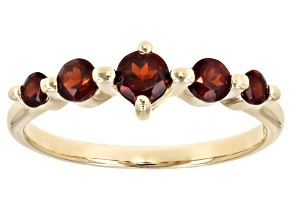 Gemologists recognize six garnet families within the garnet clan. Five are well known: pyrope, almandine, spessartite, grossular, and andradite. The sixth, uvarovite, is hardly ever seen or heard from. (If you didnt catch the name of your favorite, hold on we will get to it in part 2 of this report.) Besides these six gem garnets, mineralogists know about more than 30 others, some just theoretical. 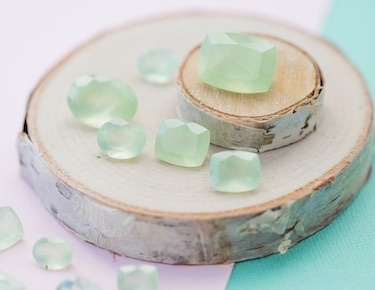 Yes, there is a lot we didnt know about that January birthstone. Garnets adhere to a three-part formula. There is a silicate component, as well as two other elements. The ratio of these components does not vary. (For more detail, please look at the chart below.) 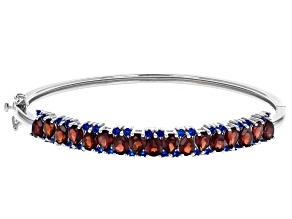 The six garnet families tend to hang out in two groups an aluminum group and a calcium group. They occasionally mix or intermarry but not much. Aluminum, calcium, and silicate do not cause color; the other elements do those wild genes. 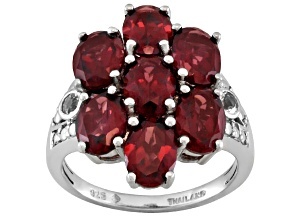 The aluminum garnets are called pyralspites, a word formed from the individual names pyrope, almandine, and spessartite. The calcium garnets are ugrandites - uvarovite, grossular, and andradite. Now imagine the garnets as a very old, established clan. 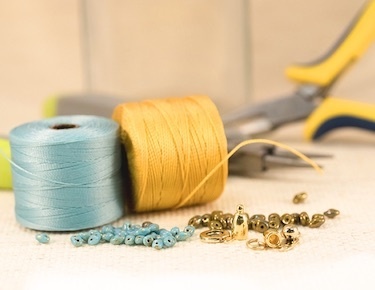 While individuals might have a certain last name, they are not just a Jones or a Smith. They are a combination of whatever their ancestors were. So we never have a pure pyrope or a pure almandine. 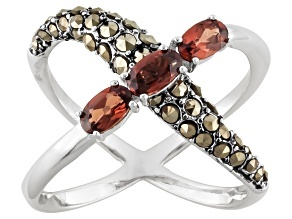 Almandine is the classic red garnet and possibly the most common type. It has iron in its formula, which creates color - in this case, a strong red. This is why it does not take much almandine in a garnet to make it red. Spessartite is the third pyralspite, and it has manganese in its formula. This manganese creates a yellowish-orange color. Because many of spessartites ancestors married almandines, many are a reddish orange due to some iron. The lighter orange spessartites, similar in color to orange soft drinks, are almost pure spessartites. The other group of gem garnets, the ugrandites, is not as well known or as plentiful as the pyralspites. 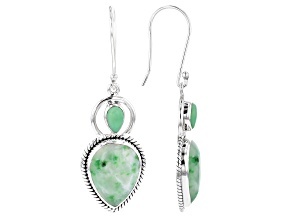 Uvarovite, a rich, emerald green, has chromium in its formula, which stunts crystal growth. This garnet is rarely seen as anything other than a drusy (lots of tiny crystals all close together); however, it leaves its mark on other garnets more than you might think. 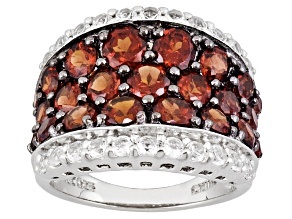 Grossular garnet has aluminum and calcium in its formula, neither of which creates color. However, grossulars can range widely in their shades and are often close to pure. 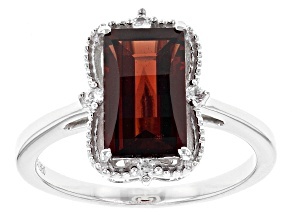 They get their color from traces of other garnets mixed in. Andradite is the last garnet and is different from the others in several ways. It has iron, but in a different state and position within the structure than almandine. Therefore, it does not create red. Instead, andradites can be golden or brown or even other colors if mixed. 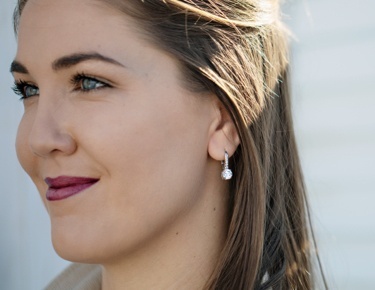 Because no garnet is pure and many are composed of combinations of three or more garnets, it is too confusing to stick to the gemological names. So, we have always named these varieties on their appearance, gemological properties, and origin - regardless of what the actual chemistry is. 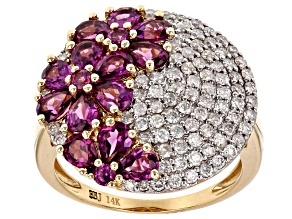 The best-known garnet mix is rhodolite, a pinkish or purplish garnet. 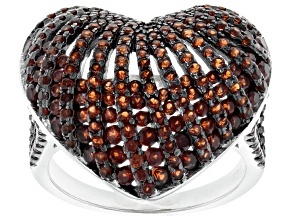 It generally is about half almandine and half pyrope, usually with a few minor amounts of other garnets mixed in. It is more of a color name. 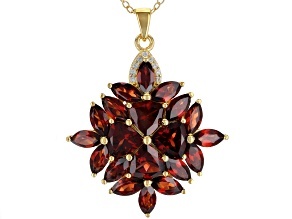 Malaya garnets are a combination of all three pyralspites, usually in nearly equal amounts. The word Malaya, also spelled Malaia, comes from the Swahili word for no family because it belongs to no major garnet family. It is a combination of many. 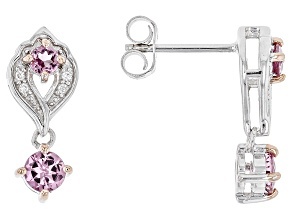 Pink garnets are mostly pyropes - and about as pure as pyropes come. 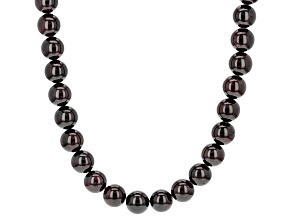 As pure pyropes are colorless, the small almandine component creates a lighter red, hence the pink. 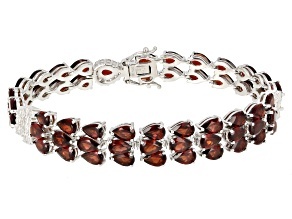 Garnets that are colored by iron have a very different red look than chromium-colored rubies or spinels. 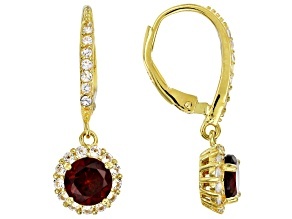 However, there are unusual red garnets that are colored by chromium. These are anthill garnets, only found in small sizes but with a big color a pure, deep red. Anthills are mostly pyrope, and they get their name from how they were discovered. The small crystals would be found mixed in desert sands in Arizona. The ants would bring them to the surface when building nests because they did not want these hard little rocks in their beds. We are so grateful they did! Color-change garnets are mostly a combination of spessartite and pyrope, usually with a very small amount of one of the rare garnets mixed in. Their colors can vary, depending on the light and the particular stone, but they range from green to red to golden to brown to purple to sometimes blue. 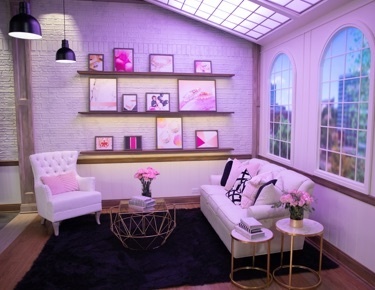 They are an interesting study in themselves possibly in need of a gem therapist! Mozambique garnet, Tanga garnet, and Umbalite garnet, which have a common look and color, are mixed stones from the particular areas they are named for,. They are part of the clan but close to no one family. 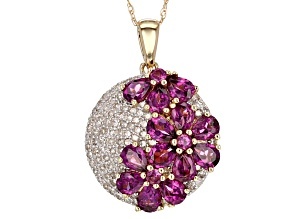 Names like mandarin garnet or rhodolite garnet signify a particular color or color range. 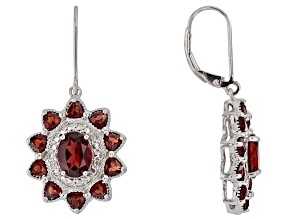 The ugrandite garnets are typically more pure and tend to not be as varied as the pyralspites. However, they still have wide variations in color. 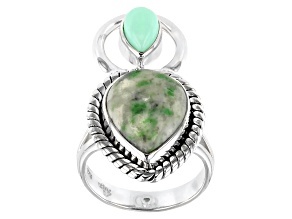 Tsavorite is probably one of the most beautiful gems. 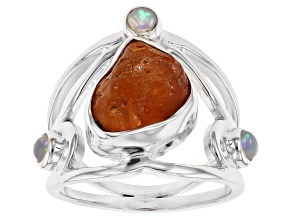 It is a grossular garnet colored by vanadium and sometimes chromium, as well. The vanadium comes from one of the rare garnets (it only takes a small amount), while the chromium probably comes from some uvarovite. 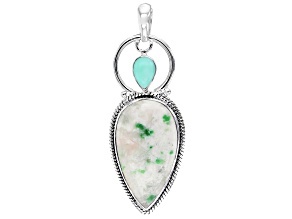 Tsavorites can be an intense, deep green, but if too light, they become mint garnet. 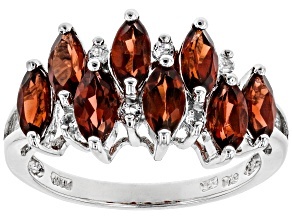 Hessonite, another type of grossular, is typically a brownish orange and gets its color from iron. Grossular can range into some beautiful golden colors, as well, such as imperial. The andradite garnets can be green (demantoid) to yellow (topazolite) to brown. Demantoid, one of the rarest and most valuable garnets, is andradite colored green by chromium - likely uvarovite again. 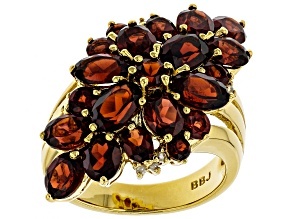 There are also Mali garnets, one of the more recent additions, discovered in Mali, Africa. These are a combination of grossular and andradite and can range from green to brown in color. Much like their components, their color is caused by chromium and/or iron. So the garnets are a unique clan among gems. Their chemistry varies, yet remains similar similar enough for them to continue to mix in varying degrees. 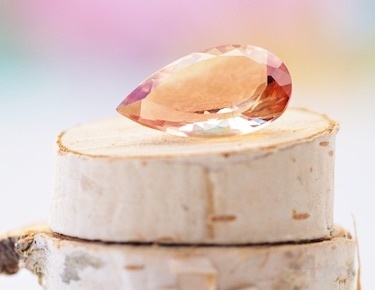 Few gems offer the variety of colors and looks that garnets do. There is something for every taste and budget!